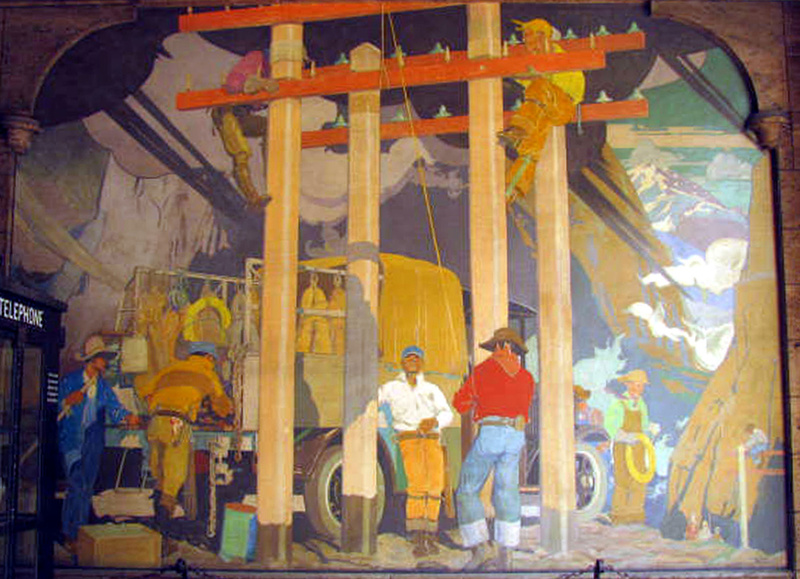 Colorado artist Allen True painted thirteen murals for the Telephone Building's entrances and lobbies. The murals depicted events from the history of communications, such as this one showing the construction of telephone lines through the mountains. Image courtesy of Telecommunications History Group.